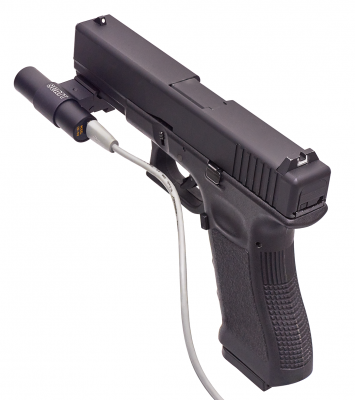 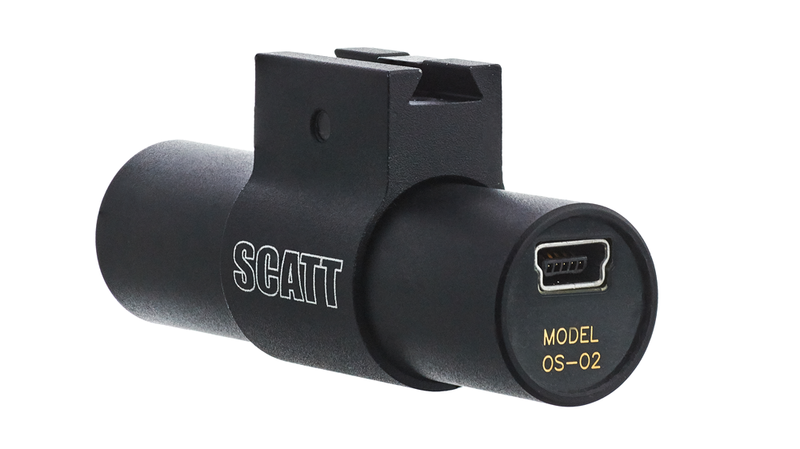 SCATT USB is an electronic training system with wired optical sensor, designed for fixed target training. This model is intended for indoor use at real distances from 5 to 10 meters to electronic target frame and simulates shooting up to 1000 meters. 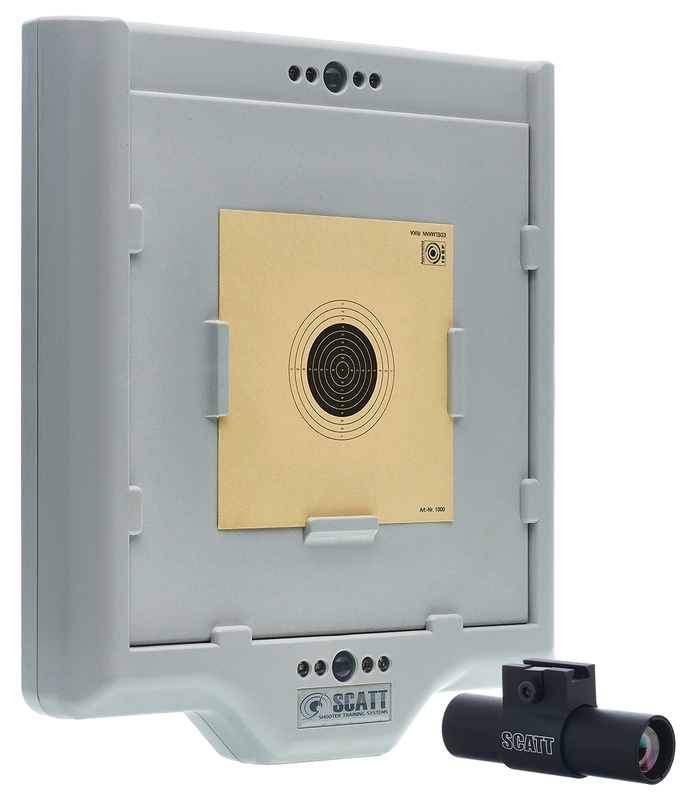 The electronic target frame can be used at distances from 5 to 10 meters, allowing you to train in different rooms using a single device. 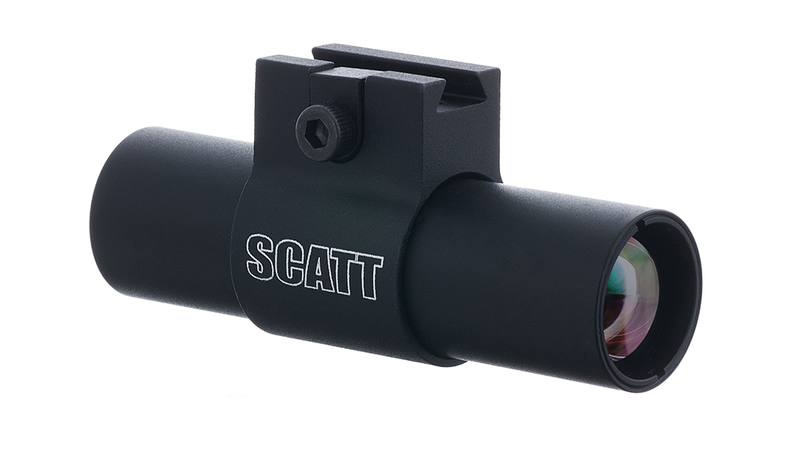 There are red and green light indicators at the top and the bottom of the frame for timed fire practice (e.g. for match pistol shooting).